The Salt Lake Stadium in West Bengal, India, is also a multi-use stadium and has a capacity of 120,000. It is, like the Rungrado Stadium, also used for athletics. The stadium was completed in 1984 and consists of a three tier configuration. 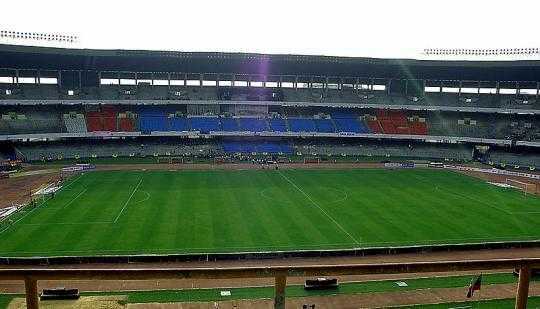 The Salt Lake Stadium is primarily used as a football stadium with three of the big clubs in Indian football using the stadium, these clubs being Mohun Bagan AC, East Bengal FC and Mohammedan SC. 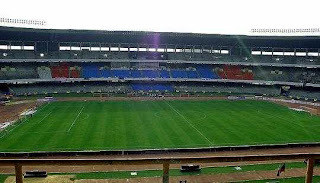 The stadium is also often used by the Indian national team and important national games, such as cup finals.